have you here! You can change your relationship with money and you will change your relationship with money, by working with the law of attraction. You may have heard of the law of attraction through the movie The Secret, but have you begun to put into practice what you have learned on a daily basis? 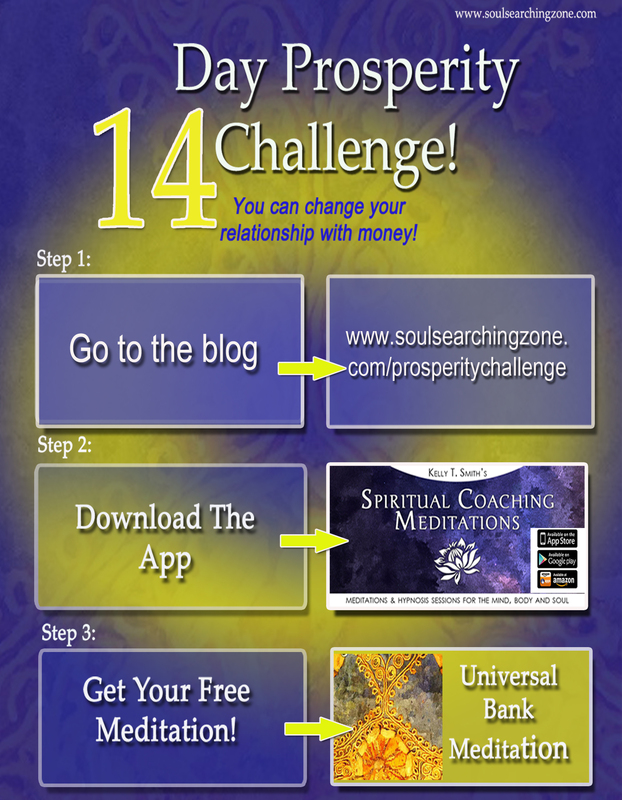 You can attract money into your life effortlessly by changing your belief’s around money. 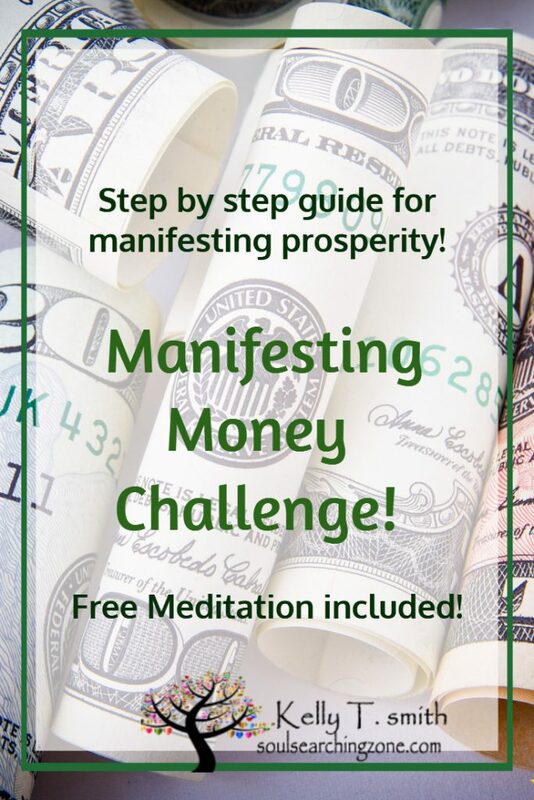 Manifesting money does not have to be hard, but for most people it is hard because they are focusing on not having money, which by default is attracting more of not having money. I believe that prosperity and financial freedom is your birth right. What I mean by that is that each soul came into this universe with the ability to create everything they could ever possibly need or desire, because everything is energy and energy is in everything, including money. Your soul already knows how to create everything you need or desire, but your energy and ego are not in alignment with what your soul knows. The Universal Bank Meditation will work with you to raise your vibration and radiate the feelings of being wealthy and abundant now! Come back to this blog daily and follow along with the steps! Set aside 20 minutes to listen to the universal bank meditation, that you will be receiving for free when you download the Spiritual Coaching Meditation App here! 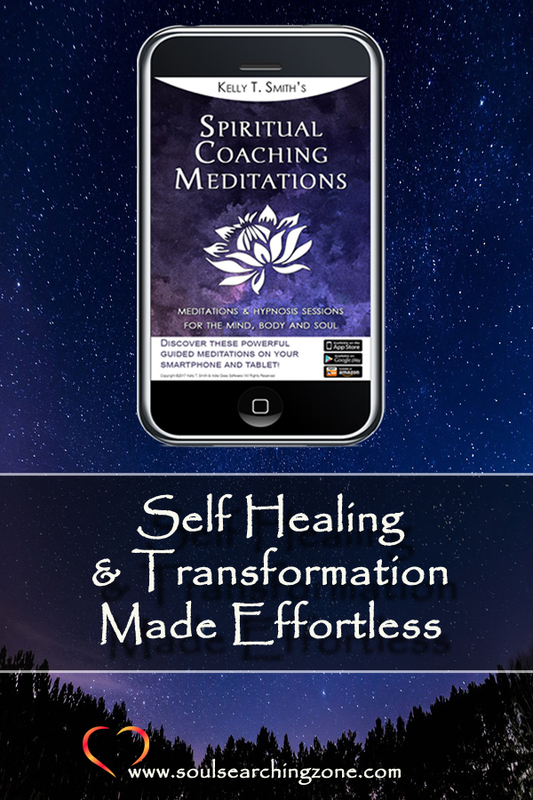 This is just one of the many themed meditations and hypnotherapy sessions in this app, click here to learn more! Okay, we are ready to get started! Here is a brief video that I made for you introducing you to the challenge and guiding you through the steps so you are ready to participate! Push play when you are ready! The first step is to download the APP and get your FREE Universal Bank Meditation! Download it here! Here is your first Challenge! Today your focus will be on counting your blessings. It would be great if you could get yourself a gratitude journal specifically for this challenge, we will be journaling about our blessings a lot through this challenge! Make a commitment for the next 14 days to only talk positively about your finances and money. Understand that money is energy and is a form of exchange. We want more money because money gives us a better feeling, or a better quality of life or maybe even freedom! So today, Count your blessings and take at least 15 minutes to sit down and write out all the ways that you have been blessed by money! Most people tend to talk only about what they do not have. From this day forward we will be reminded of all that we are grateful for! Write out a list of 10 reasons money has blessed you! Write: I am so thankful to be blessed in this way……………..then write your blessing and do this 10 times. 10 ways you are blessed already with money! 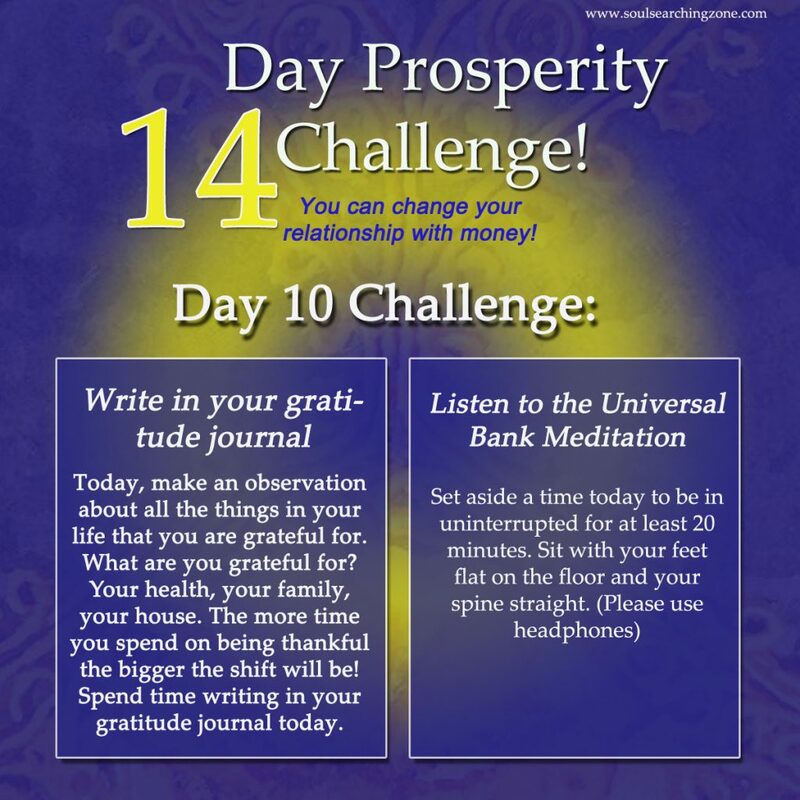 And so on…………… Write out 10 ways you are blessed with the money that is already flowing into your life. Listen to the Universal Bank Meditation! Are you ready to take a trip to the Universal Bank? Download the APP here to get your meditation! This challenge may take a few days and that is okay, as long as you commit to getting it done sometime in the next week or so! Go through your stuff and make a donation! The general rule of thumb is if you have not used it in a few months or even a year or so, than you do not need it. Think about what you have that you do not need that someone else could really use! What is that saying?……………one man’s trash is another man’s treasure! By giving away the excess of what you have that you do not need and giving it to someone that does need it you are telling the universe you are prosperous, that you are abundant! What does the universe always do……….when you tell it something? It gives you more of that! So today, lighten your load and give something you no longer need to someone that does! You will feel amazing afterwards! This may be an ongoing project, and that is okay! Trust me when I say it is well worth the time and effort that it takes! And of course, you will be listening to the Universal Bank Meditation today! Think about your intention this time before you listen to it. Think about what amount of money you would like to have………….and when you listen to it, focus on that amount! Ready to take a trip to the Universal Bank? Ready set………..lets go! For today’s challenge pick someone that you can show a random act of kindness to. One of the most powerful ways to shift your own energy and raise your vibration is to put a smile on someone’s face! Today be thinking about something nice you can do for someone around you. Also do not forget to listen to the Universal Bank Meditation! After listening to it 3 days in a row and focusing only positive self talk around your finances, can you feel the shift? I bet you can! See you tomorrow! Ready to take a trip to the universal Bank? Ready, set, lets go! Today is Day 4 of your challenge! For today, we will continue to find creative ways to uplift our spirit! Today your challenge is to watch something, listen to or read something inspirational! Even if you just watch a 10 minute you tube video that uplifts your spirit, that is perfectly fine! It does not have to take up alot of your time! You can choose whatever topic you would like or you may want to pick something that is around the prosperity and abundance theme, to learn something new with what you are currently working on! Feel free to share a link to your positive uplifting video or book in the comments below! We would all love to be uplifted and inspired by you! 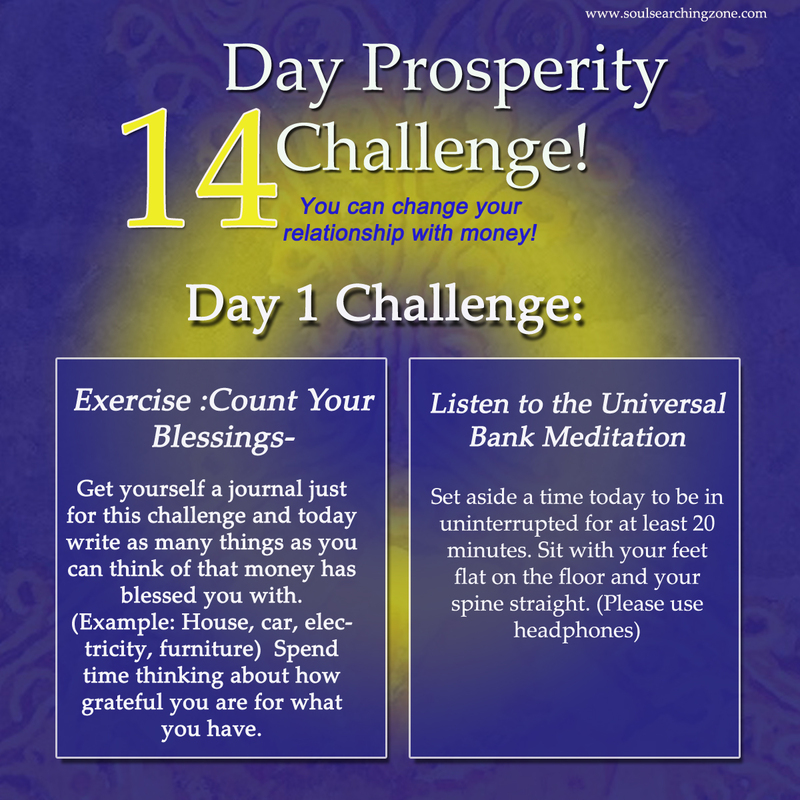 Also, don’t forget to make time for your Universal Bank Meditation today! This will be your 4th day in a row listening to it………………..How are you feeling? Are you feeling grateful, abundant, or you expecting money to fall out of the sky? Because it totally could, if you believe that! As we are quickly learning in this challenge, gratitude and love are the highest vibrations and the fastest way to manifesting! When we are consistently radiating those vibrations, we become a master at manifesting and magic starts to happen! Today spend time writing a heartfelt letter to the Universe, or God, about all the things you are thankful for and grateful for in your life. The more personal you make the letter the more powerful of a energy shift it will be for you! Day 6 challenge! 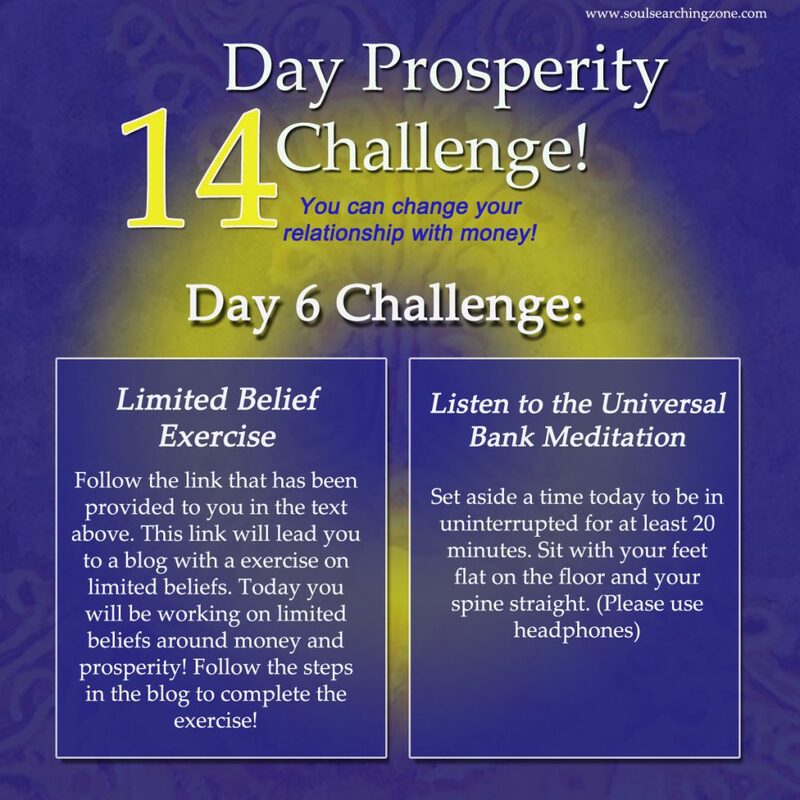 For today’s challenge you will be identifying and releasing your limited beliefs around money! To do this, you will follow the step by step process that i have outlined in a blog post! It is a 5 step process for you to work through your limited beliefs! Once you have completed it, I would love to hear your thoughts! 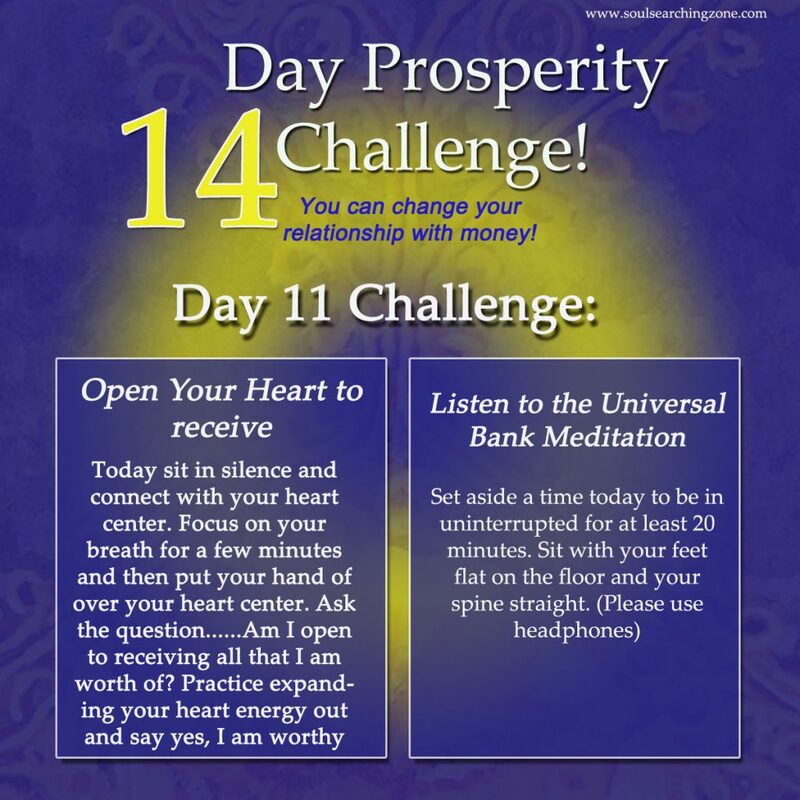 Also, do not forget to do the Universal Bank Meditation today. See you tomorrow! 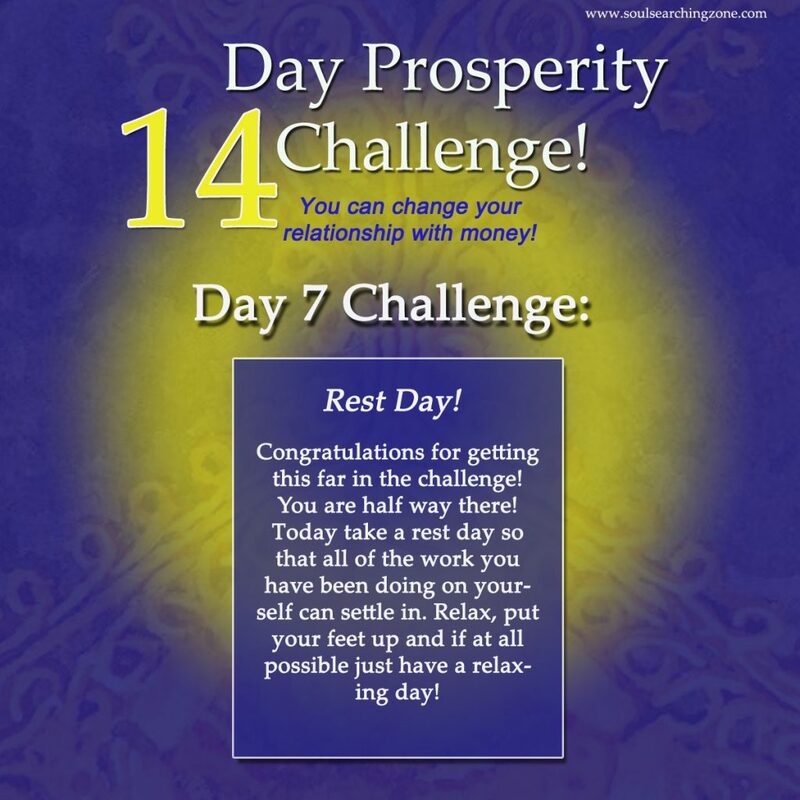 Day 7 of your prosperity challenge! Congratulations for making it this far. If you watched the introduction video I explained that at some point you get a rest day! It is very important to rest and let everything just settle in. Today your challenge is to do nothing! Rest, relax and have an amazing day! <3 See you tomorrow! Today you will be listening to the Universal Bank Meditation again, but also today take time out to go into a light meditation. Don’t worry about trying too hard if you don’t know how, just focus on your breath and use your intention to connect you with your soul energy. Ask your soul/inner self to show you anything that may be missing in your life and to guide you to the next right action that is best for you! Ready…………..Set…………….Go………………….let’s take a trip to the Universal Bank! Day 9 Of your Challenge! Creating with the Universal Bank Meditation is all about repetition! Today, you will amp up your challenge by listening to this meditation once during the day and once at night! Ready to take a trip to the Universal Bank? Ready…………Set……………..Let’s go! Your day 10 Challenge! Spend time writing in your Gratitude journal today! 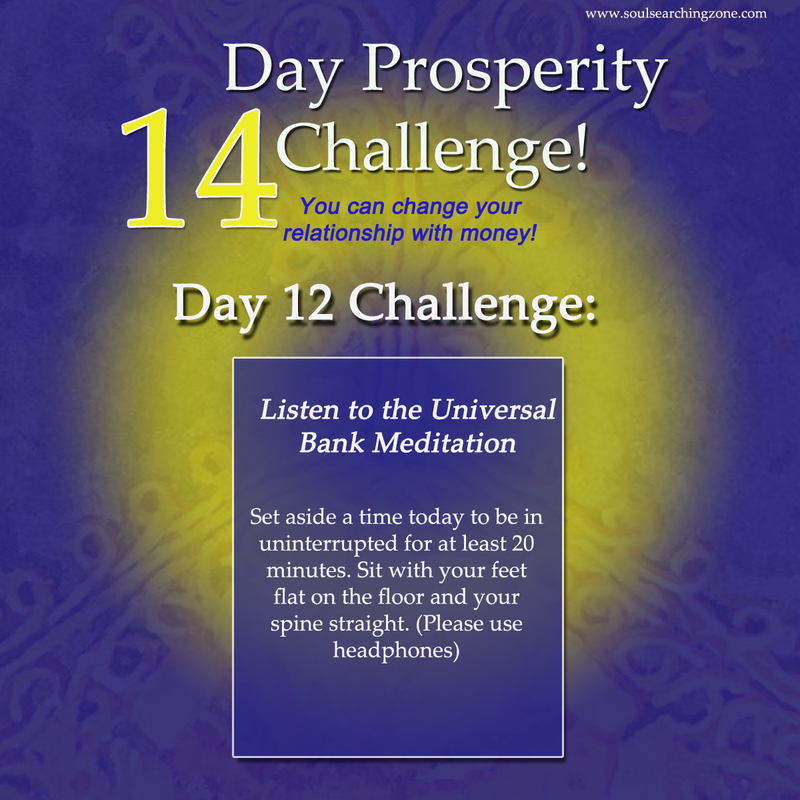 Don’t forget to listen to your universal Bank Meditation! For today……………Take time to sit in silence and really feel the energy in your heart center. Are you in resistance to receiving, or are you open to receiving? You can tell by the way you feel when you ask the question………..Am I open to receiving all that I am worthy of and sit in silence then focus on your breath. If you are open…….you will feel an expansive energy around this area, if you are in resistance or closed off you will feel anxious, or stress or restriction. If you feel restriction…………………..Just breathe through it and practice expanding your heart center and filling it with the colors pink and green and then say………Yes I am worthy, yes I am worthy! This may sound silly but it works! Try it and see. Don’t forget to listen to your Universal Bank Meditation today! See you tomorrow! 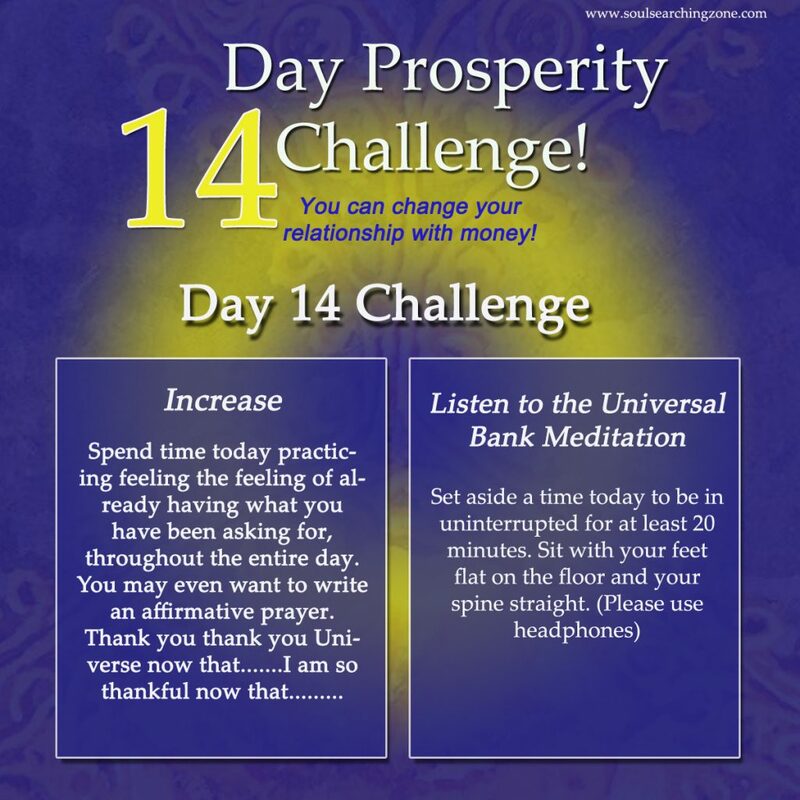 Your only challenge today is to listen to the Universal Bank Meditation, take time out to strengthen your intention and feel the feelings of receiving all you are asking for today, before you listen to your meditation. See you tomorrow! Day 13 challenge!!! Today, you will be writing about the blessings you have received in life up to this point! Remember money is energy and and energy is money, so don’t think about what you have as far as what you have bought, thing about what has been gifted to you as well. Day 14 Challenge, today is the last day………….. <3 Thank you for participating. Today’s activity is to create an affirmative prayer!!! Create an affirmative prayer and say………Thank you God Universe, I am so grateful now that and fill in the blanks of what you want! If you have not had your miracle happen yet, don’t give up, it could be just around the corner! Thank you for participating in this Challenge! Feel free to connect with me more, for more challenges! Don’t forget to sign up for my free Library, and join my facebook group for more fun!